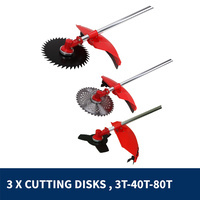 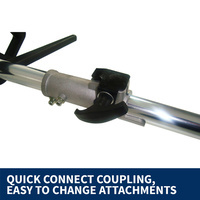 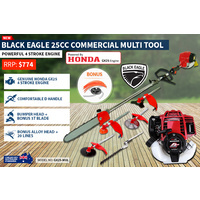 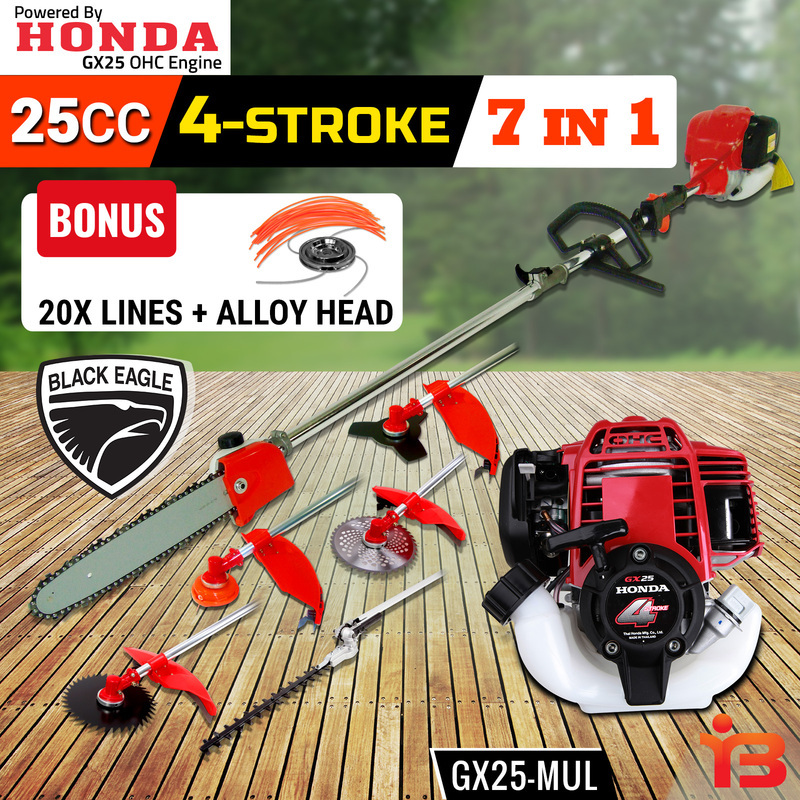 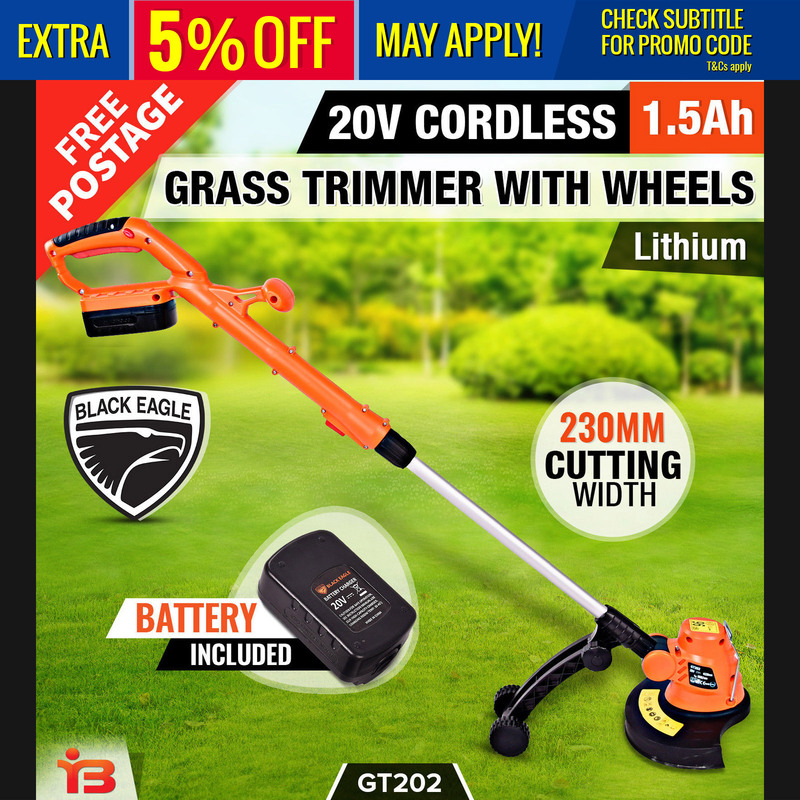 The New 7 in 1 Black Eagle Multi-tool brush cutter equipped by ultra-lightweight HONDA GX25 4-Stroke engine, efficiently delivers the kind of efficient cleaner, powerful, quiet performance that you'd expect from a larger engine - but in a very compact package. The Honda 4-stroke GX25 engine is not only demonstrably quieter than two strokes, it uses around half the fuel, less oil and delivers around twice the working life. 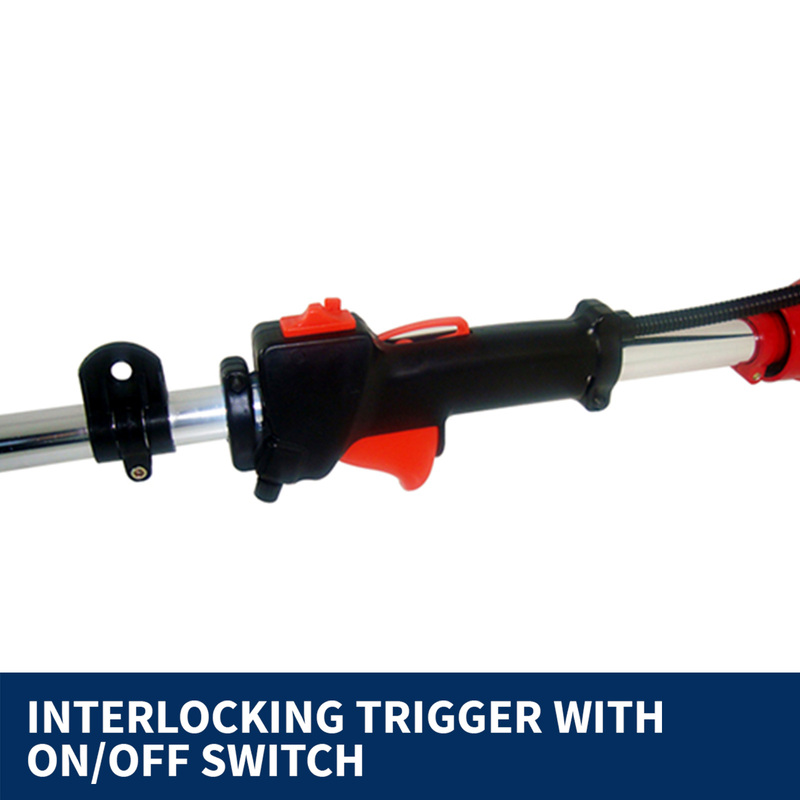 Now you can enjoy the power and performance of a 4-stroke engine that can be used in any position - upright, sideways, even upside down. 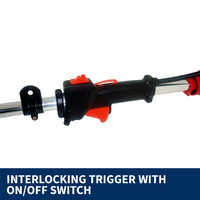 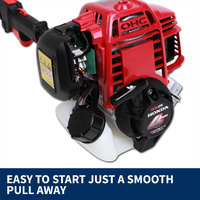 Easy to start, The Honda's carburettor sends fuel directly to the combustion chamber and easy, reliable ignition is just a smooth pull away - even after storage. 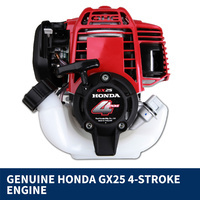 The Honda GX25 is a very reliable and durable engine, just what you expect from the world's largest engine manufacturer. 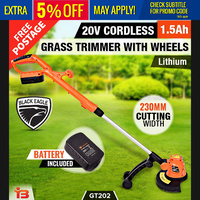 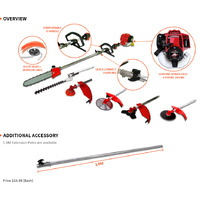 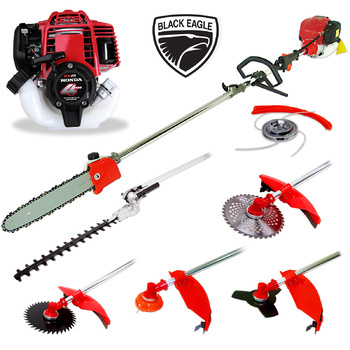 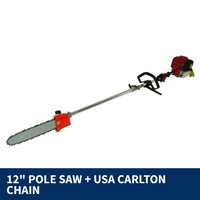 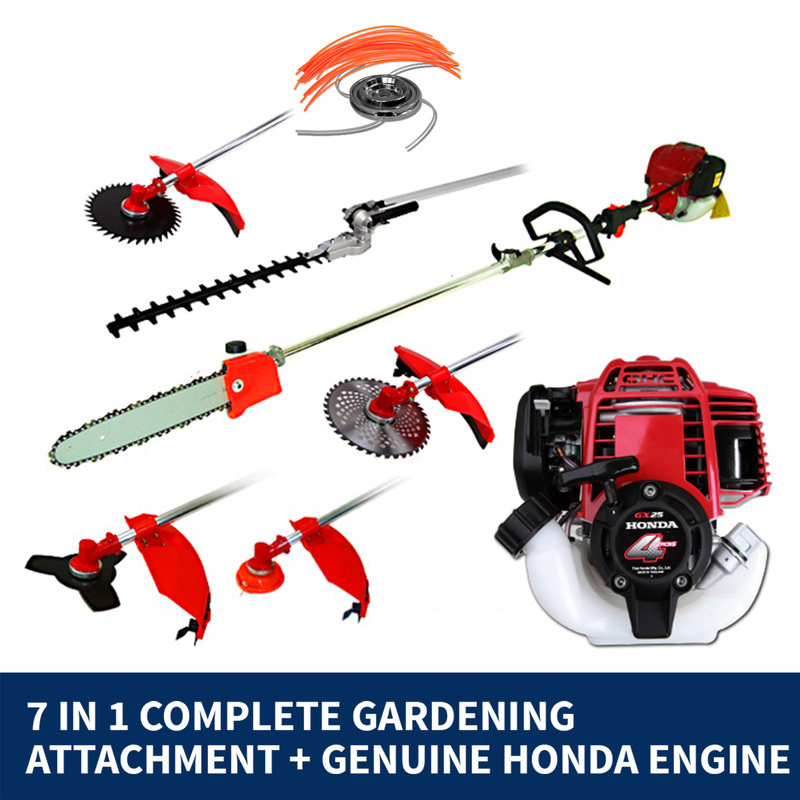 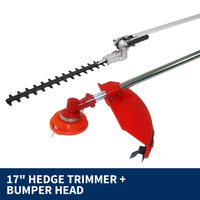 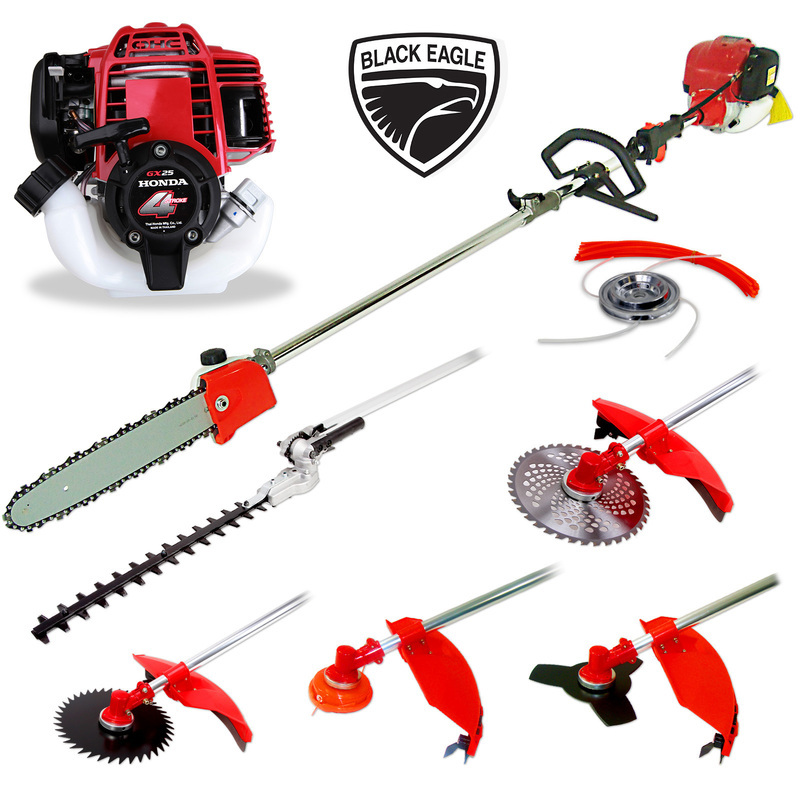 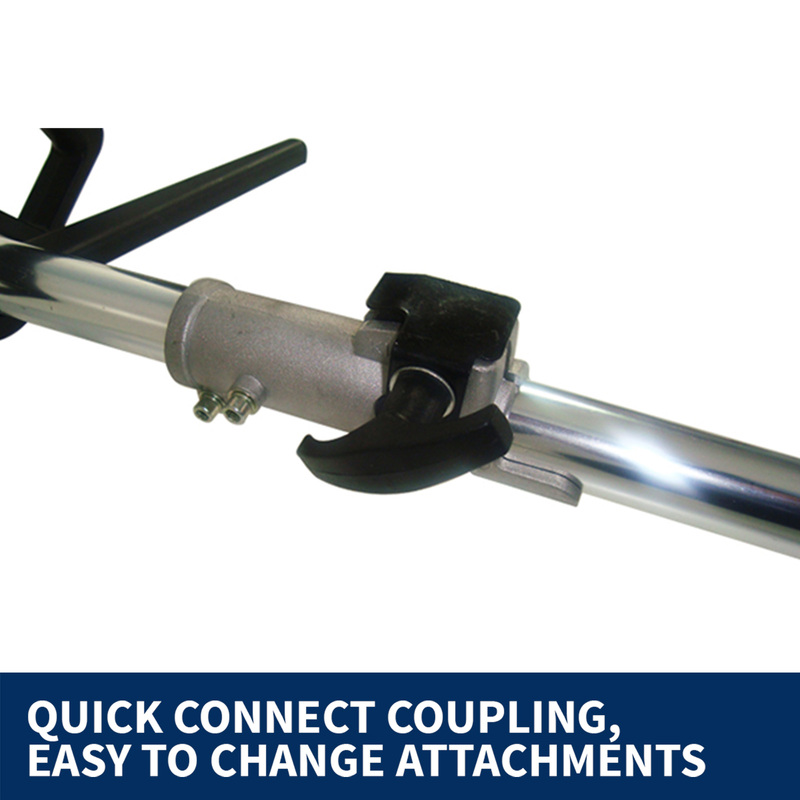 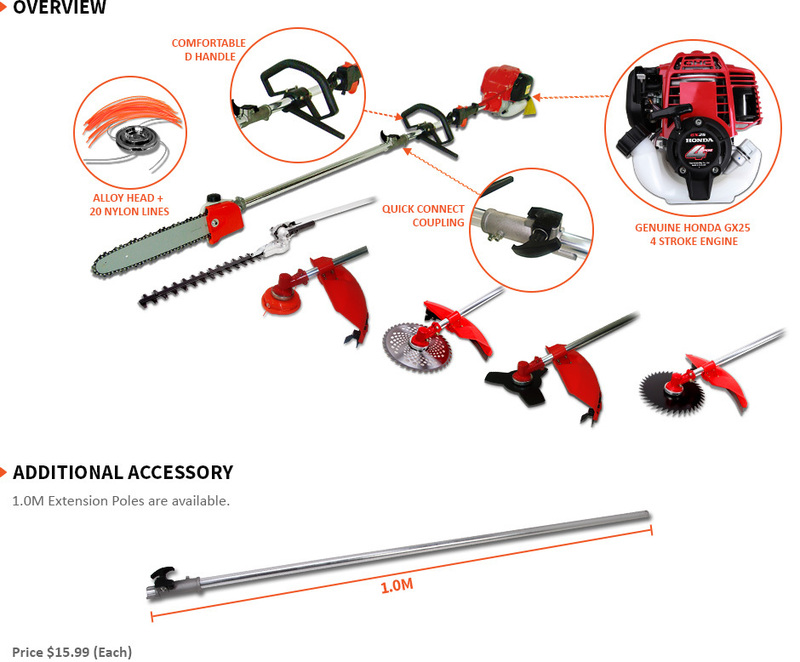 This 7 in 1 Multi-tool comes with quick release attachments, features: a quick release adjustable Hedge Trimmer, 12" Pole Saw + USA Carlton Chain, Whipper Snipper, Brush Cutter with 4 Blades and a Bonus pro alloy head + line. 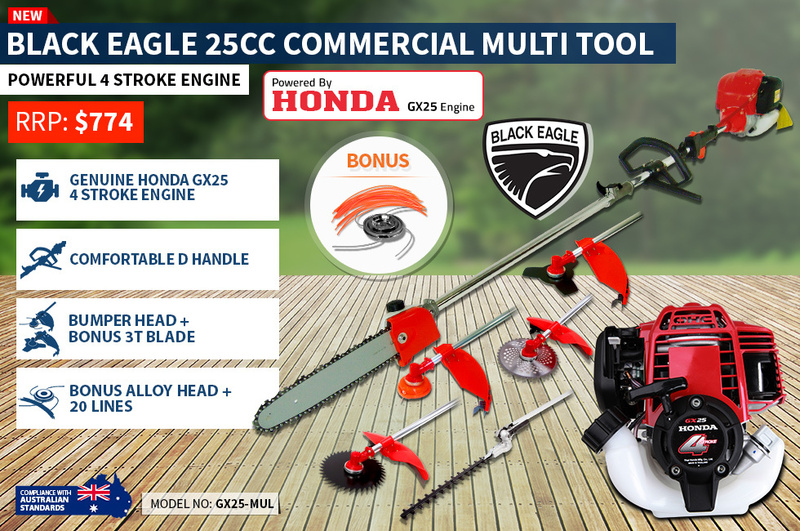 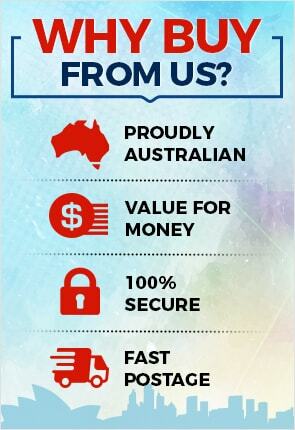 This product comes with 24 Months engine warranty.